The Cultural Association Miso Music Portugal, with the status of Public Utility since 2013, was created as an extension of the Miso Ensemble, with the aim to develop and promote contemporary music creation in Portugal and the world over. It was founded by Paula and Miguel Azguime, composers, performers and multimedia artists, who, since the foundation of the Miso Ensemble in 1985, have been developing their tireless work in the field of new music, contributing in an active way for the expansion of contemporary art. Miso Music Portugal's philosophy is reflected in its name: MISO is a traditional ingredient in Japanese cuisine obtained by a millenary fermentation process of grains, soy beans and salt, which conveys an ideal of personal and collective life. MISO produced according to traditional processes means slow fermentation, which is materialized as a symbol of perseverance, continuous maturing and search for balance. This symbolism is being propagated within various initiatives, which since the very beginning until today Paula and Miguel Azguime have been constructing at the Miso Music Portugal. 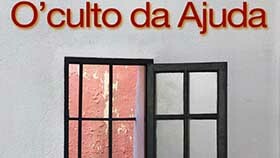 These initiatives stimulate the audiences' curiosity for sound and music phenomena, and include the production and realization of promotional actions, editions, pedagogical activities, activities stimulating creation, as well as connected with the diffusion and valorization of the Portuguese music patrimony, both at the national and international level. 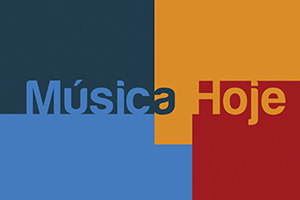 The Portuguese Music Research & Information Centre is one of the projects which for its nature constitutes a genuine public service, by means of which Miso Music Portugal encourages interest and preservation of the music patrimony, as well as promotes research in the area of Portuguese music. Among its various activities the Association realizes concerts (the Concert Season and the Música Viva Festival), conferences, workshops and radio programmes, commissions of new works to Portuguese composers and pedagogical activities aimed at children and adults. 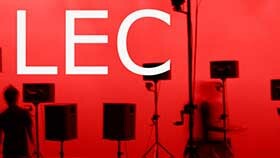 Within the Miso Music Portugal's structure and activities, it is also worth mentioning the independent CD label Miso Records, the residency programme for composers at the Lab for Electroacoustic Creation as well as the projects devoted to music research and new technologies, such as the Miso Studio or the Loudspeaker Orchestra. In this context of all the activities developed by the Association, one should emphasize the significance of its participation in the most important international networks in the area of new music. In parallel to these activities Paula and Miguel Azguime as Miso Ensemble, have been continuing to develop and perform their own creations. After more than two decades of prolific activity as a duo for flute and percussion with electronics, they currently mainly devote their collective creative work within the genres of electroacoustic theatre and multimedia opera. In this context one should emphasize the Salt Itinerary, which constitutes, in a certain way, the culmination of a process of integration between writing poetry and composing music, and which has also conducted to a new form of creative collaboration within the Miso Ensemble. This cooperation encountered its consolidation in the children opera The Little Girl Water Droplet, and in the opera A Laugh to Cry, a metaphysical theatre which unfolds on the edge between dream and reality, where Miguel Azguime's music and Paula Azguime's staging coexist in a truly symbiotic way. Celebrating 30 years of activity in 2015, Miso Music Portugal has been giving an important contribution to encourage and promote music creation, to ensure the research and the preservation of musical heritage, contributing to spread knowledge about a music that needs better identification, recognition and fruition, a music that is being made here and now, and whose invention reflects the contemporary human in his capacity for evolution and development. The art that is made here and now is an investment for the future. Together with scientific research, it is one of the few certainties of our identity, of our capability to give proper answers to the present challenges. It is a path, which true artists need to grub and follow relentlessly within and extraordinary and great generosity. 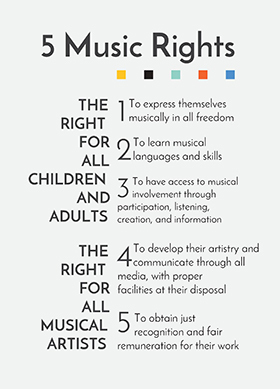 This is the reason why it is necessary to fight for artists, support and defend them.